A Most Attractive Vintage Diamond Cluster Ring [SH10298] - £2,250.00 : loveVintageDiamonds.com, Your Vintage Diamond Dreams Come True! 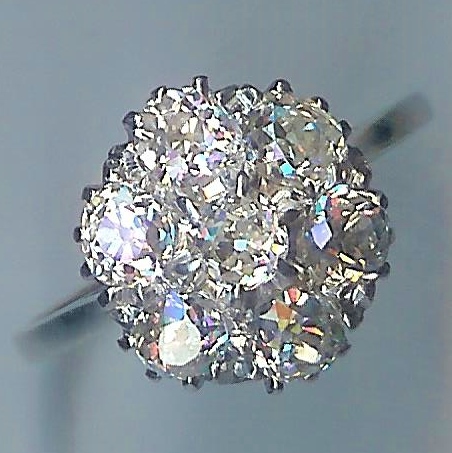 A Most Attractive Vintage Diamond Cluster Ring. c.1950's. 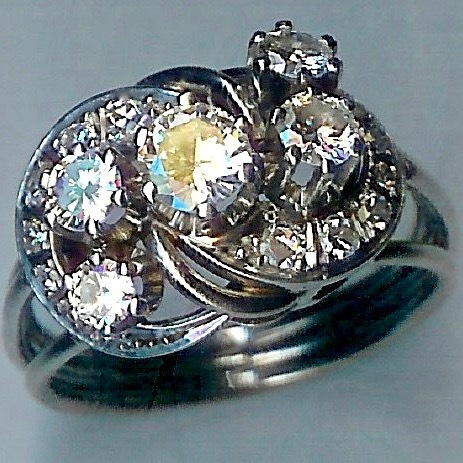 An extremely beautiful design, the stones are all brilliant-cut diamonds. There are five main stones, in raised claw settings, and these measure approx. 0.40ct, two x 0.18cts, and two x 0.15cts. The combined weight of these main stones is approx.1.06cts. They are set amid a gorgeous swirling design, set with fourteen further diamonds, seven each side of centre. 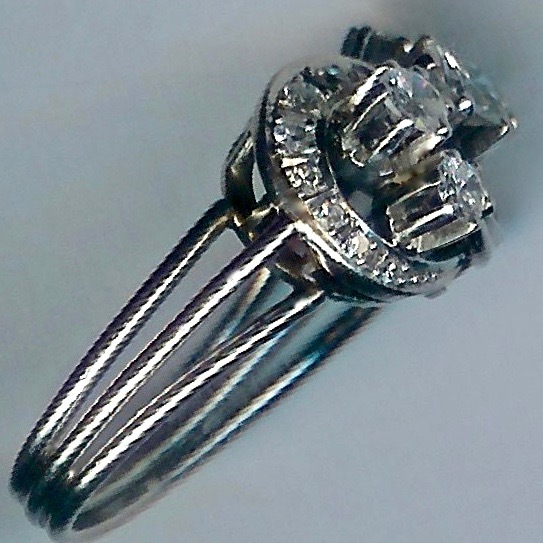 The total diamond weight is approx.1.30cts. 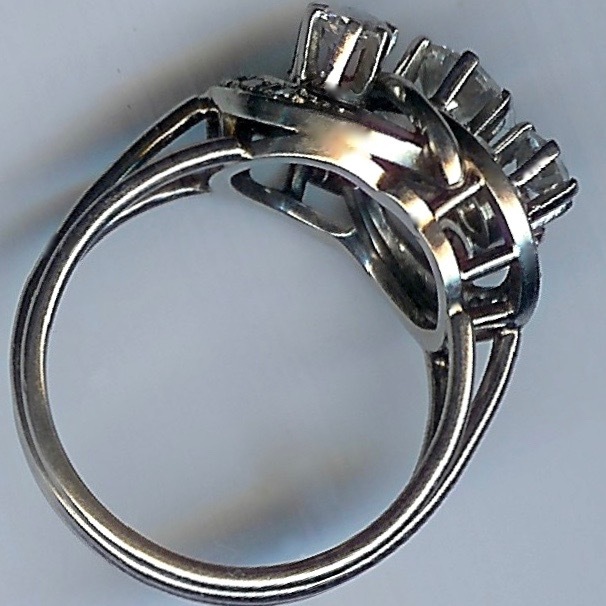 The mount is all white, with a three-section shank integrating to the underbezel at the crown. Unmarked, it tests as platinum, and weighs approx. 7.6gms. Presently fits finger size 'M' (UK).